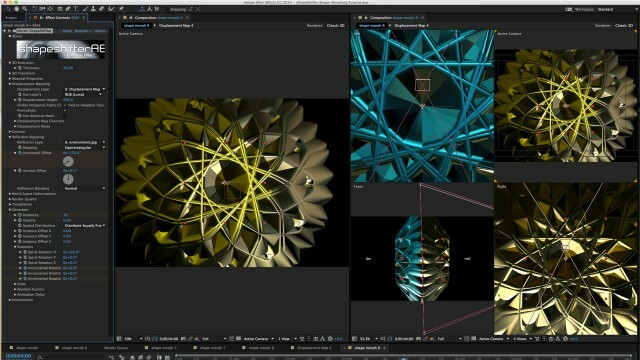 Learn how to create a 3D shape morph animation using basic tools found in After Effects. Nancy (mettle.com) uses shape tools to make a simple 2D shape-morphing animation. 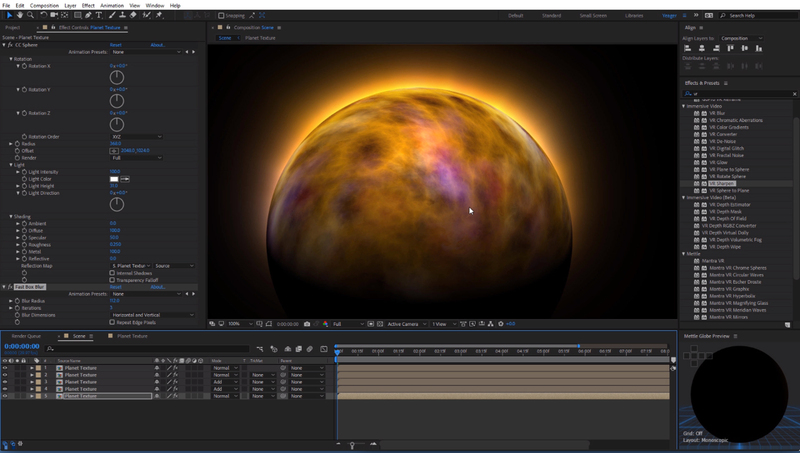 That basic animation is used as a Displacement Map with ShapeShifter AE to create an awesome 3D animation, in a fraction of the time it would take in a dedicated 3D app. Totally customizable technique. 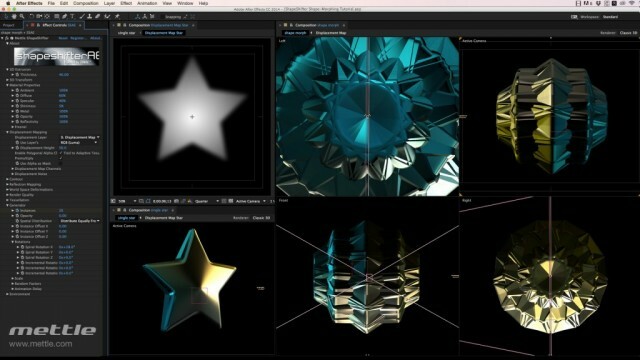 ShapeShifter translates the 2D information from the shape-morphing animation into 3D space. The simple shapes already look amazing with the ShapeShifter plugin. Nancy takes things to the next level by using The Generator feature, which is a replicator, and spiral rotations. Also – learn how to set up a Null to use as a camera controller, and how to set up multiple colored lights.